Massive Conspiracy Against All Life. Leviathan (Moribund Records). 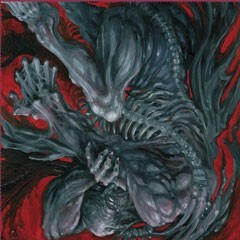 While the past year brought about several notable black metal releases (e.g. Krallice, Winterfyllah, Nachtmystium), Leviathan's ability to both work within and expand genre conventions makes this a landmark effort. The album not only serves as a benchmark; it also further legitimizes a quickly expanding United States black metal scene often viewed as inferior to its Norwegian predecessor. Nigeria Rock Special: Psychedelic Afro-Rock and Fuzz Funk in 1970s Nigeria. Various Artists (Soundway Records). Thanks to a flurry of African music collections that surfaced in the past year, Afro rock and funk moved beyond cult status to enjoy a huge increase in popularity. The Nigeria Special series is responsible for much of this success, as the collections are well researched, carefully compiled and include a plethora of fuzzed-out rhythmic jams previously only available from die-hard record collectors. Although the music is more than three decades old, the rediscovery of these gems makes this a most significant release. Lie in Light. Cloudland Canyon (Kranky). I'm typically hesitant to pile accolades on an album to which I attach a "sounds like" tag to every song, but somehow Cloudland Canyon deserves a pass. Yeah, the pulsing tempo of "Krautwerk" sounds like something lifted straight from the catalog of Kraftwerk or Cluster, and the dreamy hypnotic rhythms of "You and I" certainly recall the early days of Ash Ra Tempel, but it doesn't matter. Akai Yami. Birushanah (Level-Plane). The underground metal scene has become overwrought with doom and sludge of late, making it difficult to recognize unique talents lying within the excess. Birushanah, perhaps the most undeservingly overlooked of these talents, incorporates elements of traditional Japanese folk music in a way that not only appeases doom purists but also refreshes a scene at risk of stagnation. Instead of the stoned meanderings or ambient drones currently en vogue within doom circles, Birushanah relies on percussion-driven lock step rhythms to deliver their frenzied and desperate craft. The Bees Made Honey in the Lion's Skull. Earth (Southern Lord ) Listening to this album of droned-out Americana makes me feel as if I'm roaming the deserts of a Cormac McCarthy novel. The decision to invite Bill Frisell to sit in on three tracks is brilliant, for his minimalist guitar phrasings work amazingly well with the band's sparse and tortured soundscapes. What really puts this album over the top is the vinyl release, a triple gatefold two-lp set, complete with gold embossed lettering on its book-binded faux leather hard cover. Assassins: Black Meddle Part 1. Nachtmystium (Century Media Records). Magnificent Fiend. Howlin' Rain (Birdman/American). Graveyard of Utopia. World Burns to Death (Prank Records). Blood Ceremony. Blood Ceremony (Rise Above Records). By Ryan Forsythe and Cassie Hart. Whole Wheat Books. By Earthless. Tee Pee Records. By Nebula. Salt of the Earth.